Did you know that only 8 percent of people actually achieve their New Year’s resolutions? That statistic might make you think that reaching your goal is impossible, but that’s not the case. 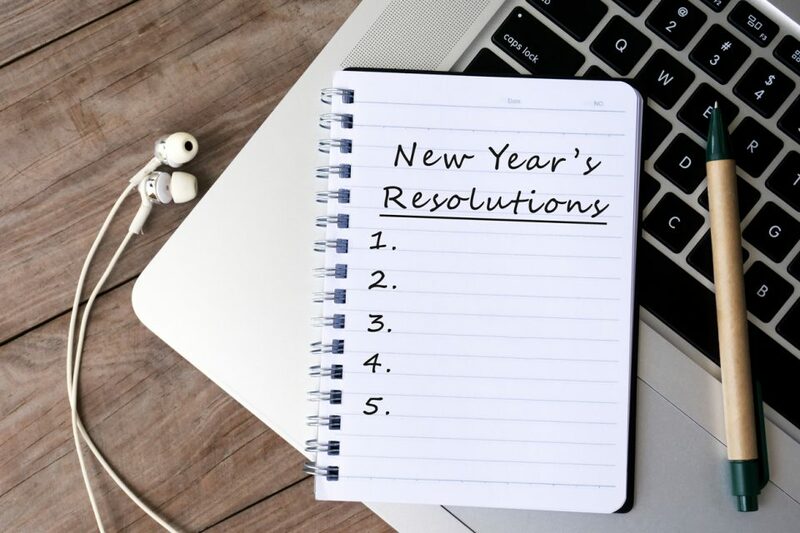 Follow some tips, and you’ll be one of the few who actually achieves your resolutions this year. Write down three goals you want to achieve, and then take action each day. Schedule various activities each day and follow through. When you make your goals a priority, you can achieve them. Let’s say that losing weight is your resolution. That’s a lofty goal. Break it into small pieces, such as losing five pounds at a time. Create goals that you can reach in 30 to 90 days, and then move onto your next small goal. Creating 17-week goals is a great way to get on track. You can reach your goals three times a year if you do the 17-week cycle and still have time off for vacations. You will fail if your goals aren’t realistic. But how do you make them realistic? Consider the steps required to reach a goal. If you can realistically achieve those steps, you know the goal is realistic. Thinking about a goal isn’t enough. Write it down so you’ll be more likely to stick to it. This simple task increases accountability. Don’t be shy about talking about your goals. Let your friends and family in on the secret. Then, when you see them later, they’ll ask how you’re doing, and that will help you stay on track. Don’t make the mistake of calling it a “New Year’s resolution.” It’s too easy to fail right after the holidays. Instead, just call it a goal, so if you do fail after the new year, you’ll be more likely to get back on track. Use a combination of social support, technology, rewards, and punishments to stay on track. The more resources you use, the easier it will be to achieve your goals. Combine a goal with a habit to make it easier to achieve. Let’s say you start each morning by brewing a cup of coffee, and your goal is to take your vitamins every day. Put the bottle right by the coffee pot so you won’t forget. This makes it easier to create a new habit. Don’t just be accountable to yourself. Be accountable to someone else. That’s what makes Weight Watchers so popular. The group is accountable to each other. Find someone to be accountable to so you can reach your goals together. Human beings are not perfect. Everyone makes mistakes, even when trying to reach goals. Let’s say you’re trying to lose 20 pounds, and you eat a brownie. Don’t let that mistake cause you to lose focus. Get right back on track. Visualize what the end of the year will look like when you’re successful. Write down what that would feel like. Then, return to that paper when you need some motivation. Think about why you are setting a certain goal. Let’s say you want to lose weight. Why? Maybe being healthier is your intention. Then, you need to think about other things that can help you be healthier. Maybe you simply want to fit into your pants. When you determine the intention, it’s much easier to choose the proper goal. You need to add consequences to your plan. Losing money is an excellent consequence because it hurts. Evaluate your progress every 30 days, and if you don’t follow through, donate money to a charity. Increase the amount every month so it hurts more and more. You might benefit from pain when it comes to reaching your goals, but most of the time, you prefer pleasure. You can increase the amount of joy you get with a new toy from Bama Buggies in Tuscaloosa, Alabama. Get a new recreational vehicle, and fly into the new year in style.